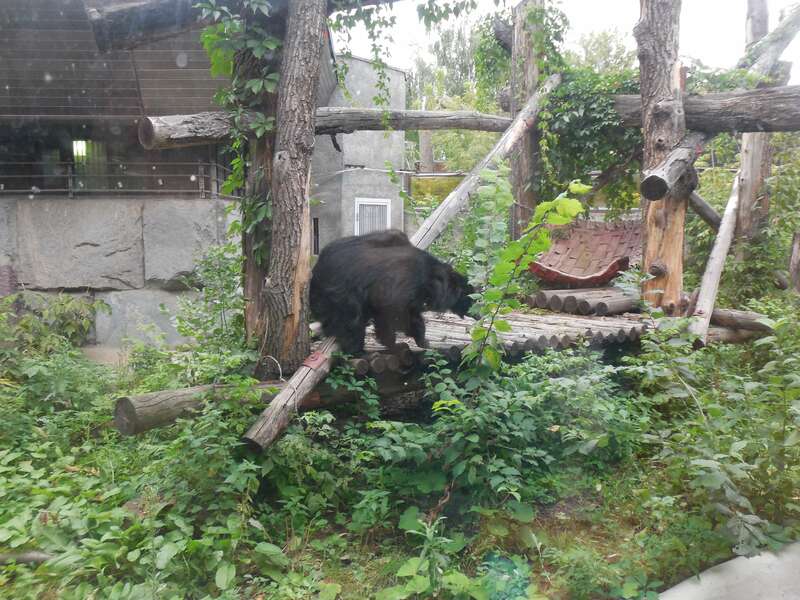 The most memorable thing about Moscow Zoo, according to Mama, is its location, which just goes to show that she has probably now been to too many animal attractions. At this stage in her career as a parent of a hopeful zoo keeper, Mama’s ability to take interested in yet another round of zebras, toucans and orangutans is decidedly tepid. You’ve seen one spectacled bear, she is starting to think, and you have seen them all. Zoos are really starting to have to have a unique selling point beyond the animals for her to really sit up and pay attention. 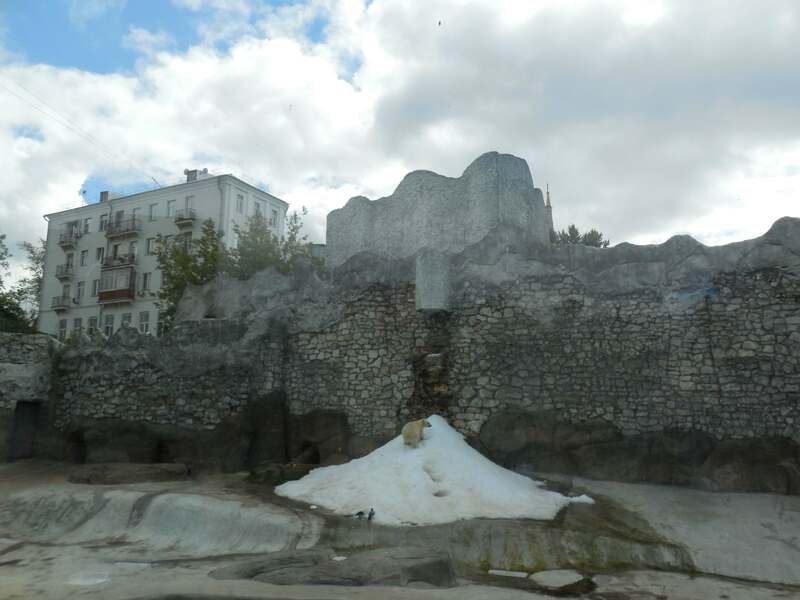 This could be why the Moscow Zoo’s entrance is fashioned as a dramatic, if mostly plastic (or possibly fibreglass), mountain. But it has to be said that after the promise of this once you get inside, the first thing you will see is a giant pond. A bold choice for an opener, Mama thinks, even if they aren’t mallards, but that’s before she spotted the flamingos in the far corner. And indeed once you have schlepped round the perimeter of the water for a few hours, you will find on the other side the usual array of big and small wild cats, bears, giraffes, odd looking cows, more birds ranging from tiny colourful flitty parrots though haughty storking cranes, paddling wading birds to giant hulking vultures, elephants, bats, wolves and penguins. Mama is bemused by the penguins to be honest. 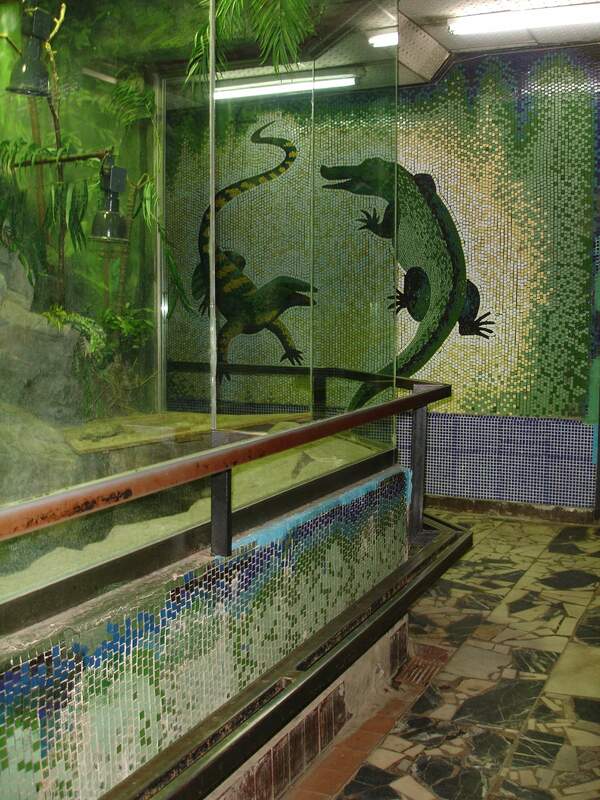 Moscow Zoo, being as it is in Russia, a country that gets pretty damn chilly in the winter, has special indoor habitats as well as the outdoor spaces for a number of its most popular animals from warmer climes. But its penguins are not outdoors because the zoo seems to have acquired the penguins which live in warm places. Mama thinks this is pure contrariness. 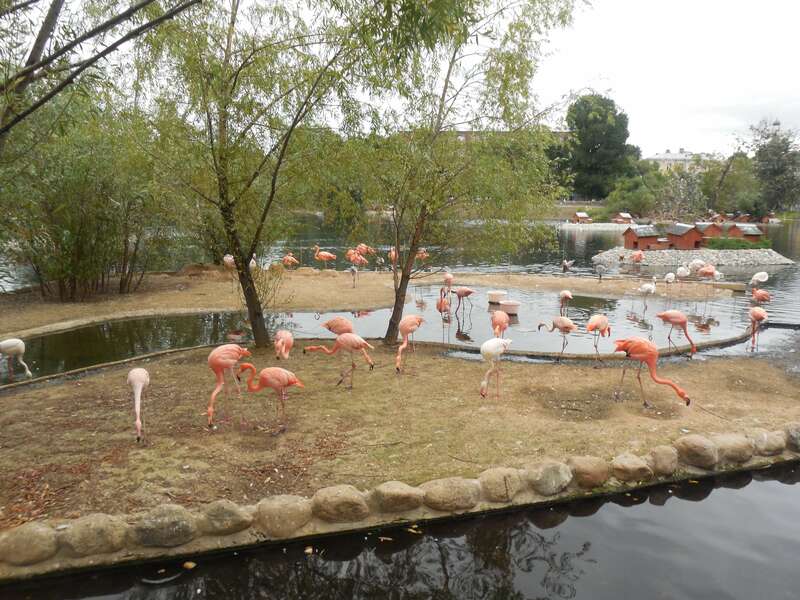 Other prime attractions appear to be feeding the flamingos and doing the mouse spotting trail. Mama disapproves of the practice of flinging the flamingos the crusts from your sandwiches, which appears to be something of a Muscovite tradition, but what, precisely, the difference between poisoning the exotic pink birds, who at least get proper nutritional supplements from their keepers, and poisoning the common old ducks and seagulls, who in London almost certainly survive mainly on toddler thrown bread, she cannot actually pinpoint. Apparently ‘do not feed’ means something else in Russian. The mouse spotting game is much less controversial. The zoo appears to have released any number of small largely white rodents throughout its enclosures, who will pop out at random moments next to this meercat, that lynx or the other mountain goat to surprise and delight any visitors who might be thinking that seeing a gibbon lick its private parts is not thrilling enough. I suspect there might be a prize for the family who see the highest number. You should have a go! It’s great! By now you will have completed a full circle of the lake, and are thinking about where to go once you leave. This would be a mistake, because you have only, in fact, done half Moscow Zoo, so you’d be better off having something to eat. The Moscow Zoo has been undergoing renovations in the last few years and these are still not quite finished, so the odd corner here and there may be closed when you go. But one of the things they have finished upgrading is the food outlets, and there are now cafés dotted around at very regular intervals, although none of these seem to be of the indoor type, which could be interesting in the depths of winter. Of course, there are any number of eateries on the way in or the way out and plenty of places for you to sit and eat sandwiches if you’d rather do that. To get to the other half, you climb another fibreglass (or possibly plastic) mountain (soon to be upgraded, apparently), take the bridge across the road and descend to another duck filled pond past the giant sloth enclosure. And then it’s otters, goats, pelicans, lions, reptiles, monkeys, gibbons, orangutans, chimps, gorillas, zebras and polar bears all the way to the exit. Cleverly placed metal walkway for small children! Mama particularly enjoys the polar bears, mainly because there is an artificial snow making machine in their habitat, which is amusing because Russia, and because they always seem to have a cub on the go, which Mama always finds reassuring in a zoo. Artificial snow! Because in Moscow, you can never have too much snow! Just before the exit there is the petting zoo. Chickens, mostly. But also goats, sheep and a couple of cows in the corner. 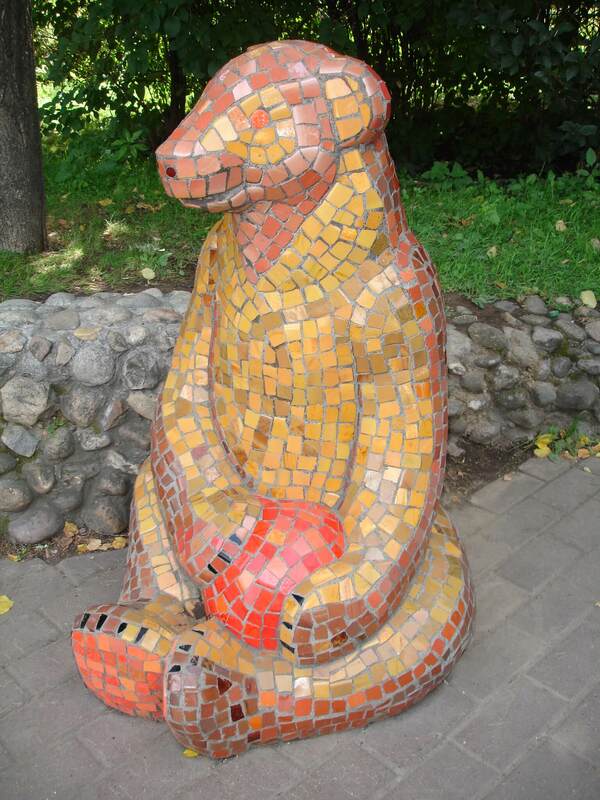 The Moscow Zoo has also wisely anticipated the rise of the selfie and provided a whole bunch of mosaic animal sculptures for visitors to pose on and around on their way out. Very cool. We have about a thousand of these snaps by now. Anyway. Back to the location. Did you spot its fabulousness? 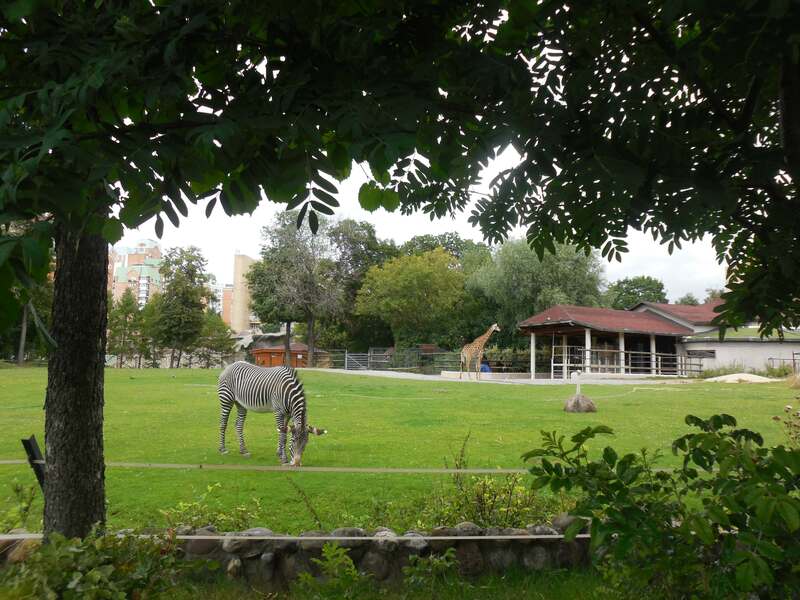 What Mama finds absolutely fascinating about the Moscow Zoo, and what keeps her happy about going back and back is the way that there you are, admiring the zebra in its semblance of an African Savannah, and you look up and see the apartment blocks dotted all around. It is frankly not a little freaky. Juxtapositioning and other such impressive sounding words. Plus, imagine having a flat up there, Mama likes to think, although not out loud in case my Animaltastic Big Brother overhears her. Check out that real estate! 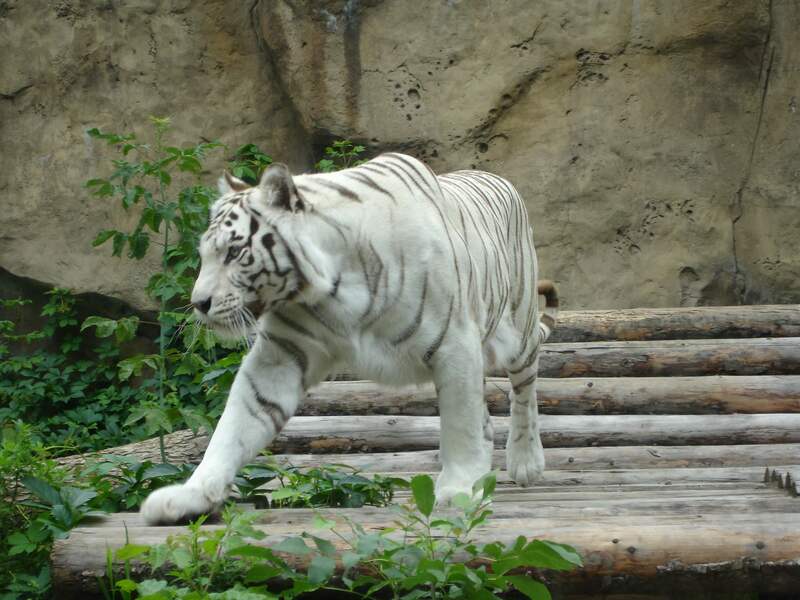 All in all, the Moscow Zoo is one of the most popular destinations for those with children in the capital, not least because of its extremely reasonably priced entrance tickets. Children under the age of seventeen are FREE! (Mama is allowing y’all a few minutes to boggle at that). Of course, in summer this means it gets very busy indeed, especially at weekends. Papa recommends that you go off season. Mama recommends that you sort out an also very attractively-priced season ticket. I insist you find the horses and my Animaltastic Big Brother doesn’t care what you do as long as you don’t stop him from going again and again and again any time soon. 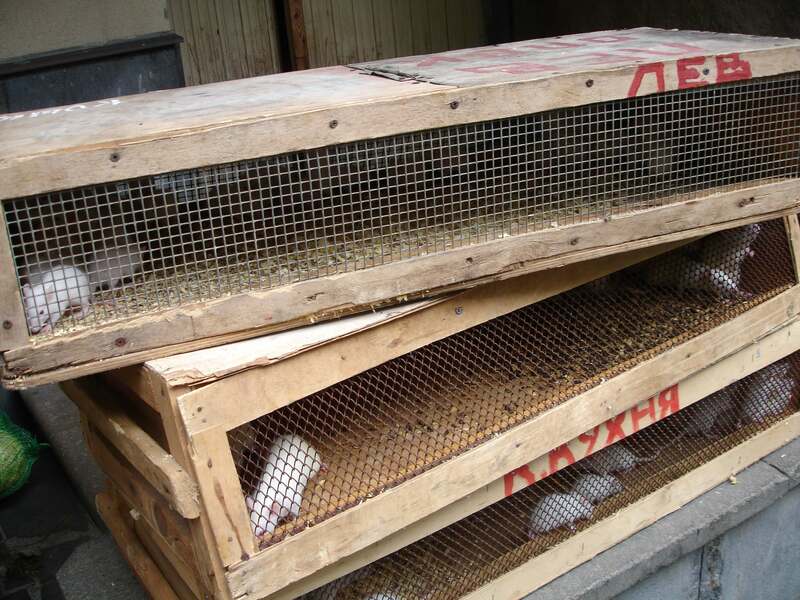 The Moscow Zoo’s website (in English). This is what the Hitchhiker’s Guide to the Galaxy has to say about keeping mice as pets. 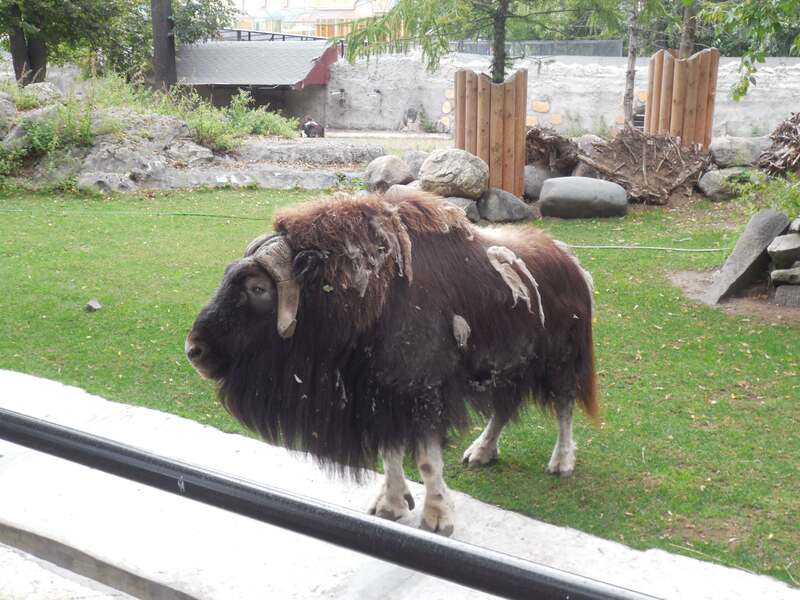 Opening: Moscow Zoo is open 10 am to 6pm Tuesday to Sunday. The zoo is closed on Mondays. Admission: Adults – 500 roubles. Children under the age of seventeen are FREE. I’ll just repeat that. 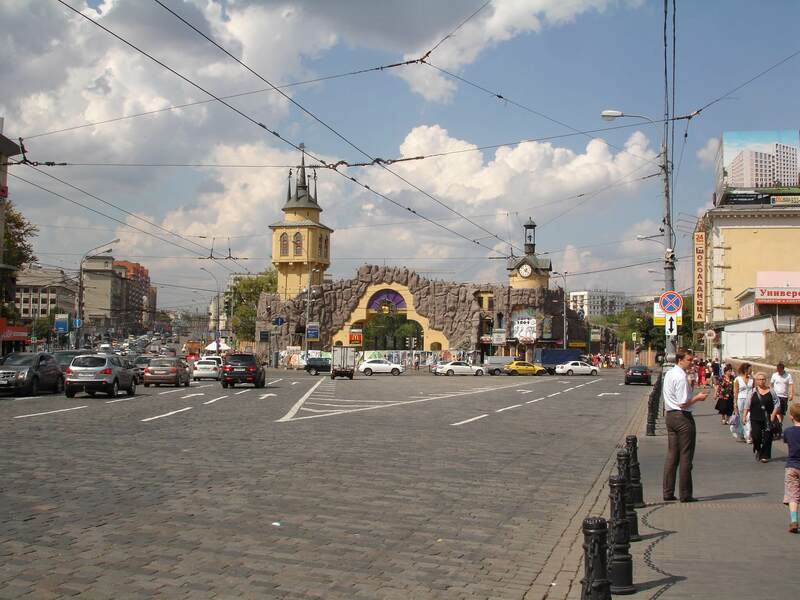 A major zoo in a capital city allows children under the age of seventeen (and also pensioners and students) in for FREE. By metro: Barrikadnaya (purple line) or Krasnopesnenskaya (brown circle line) are very close to the main entrance (and connected to each other). By other means: Just take the tube, yeah? Penguins are always good value. And it’s really not a bad space to hang out. I love a good zoo and the Moscow one looks amazing. I’ve never been to a zoo with flamingos before. What a treat. I have just realised I have no idea i I have ever been to a zoo with flamingos before either. I have been to this one a fair few times though. They are pretty cool! Oh wow what an extraordinary place! Anywhere with penguins can’t be bad but the whole warm climate penguins thing is confusing me too! Warm climate penguins are just wrong full stop. Wow – free for under 17s – I wish some UK attractions would adopt that policy as I am finding things there very expensive. They are somewhat cheaper in France, thank goodness, but my upcoming break in the UK is getting more expensive by the day. 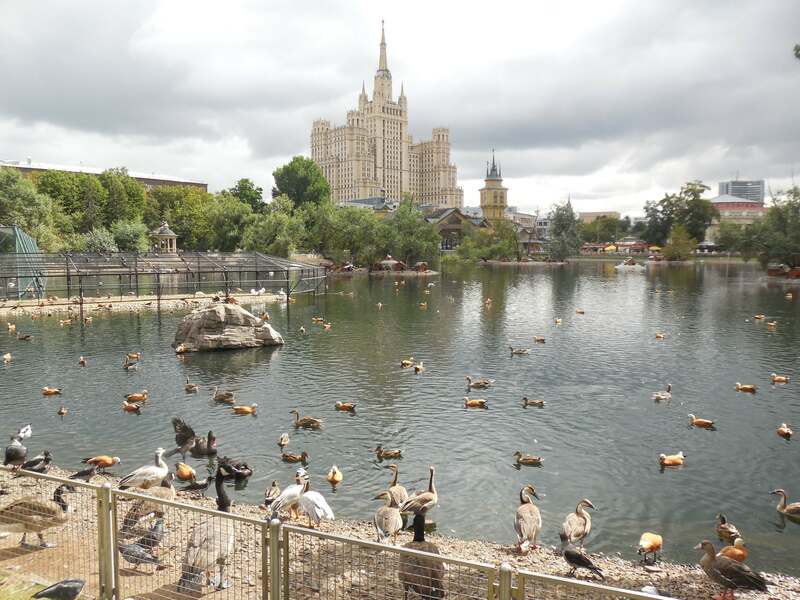 Thanks for adding Moscow’s wonderful looking zoo to #AnimalTales and if you are joining in again the next one is Nov 3rd. I actually hadn’t realised it was free for under 17s until I was poking around the website for this post – I thought it was under sevens, which is common in Moscow. I was so surprised I thought it was a translation typo (I was looking at the English page, natch, so I actually went as far as double checking with the Russian version. Have now decided to go and spend lots of money in their cafes and gift shop as a reward for such pricing behavior. It’s a full day out really, that’s for sure!